Why have many of higher ed pros taken this course — and why should I? 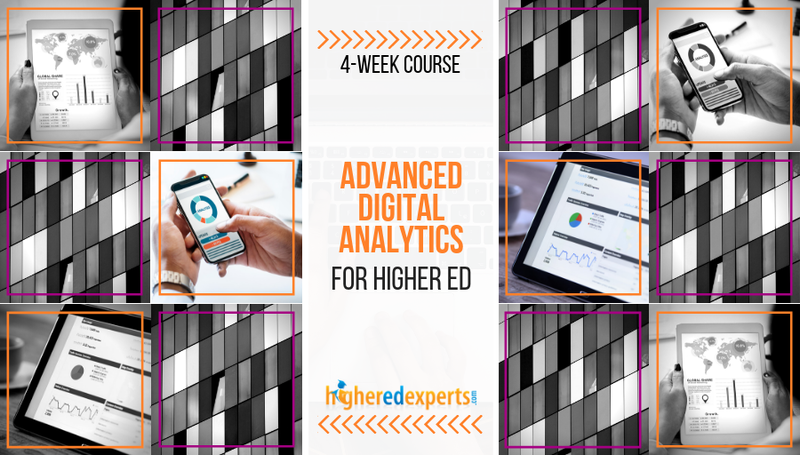 Many of your colleagues in higher education have leveled up their digital analytics practice by taking this professional certificate online course from 2015 to 2018. This course on Advanced Digital Analytics for Higher Ed was really good, but everybody was ready for a fresh approach. So, we decided to make it even better for you! The redesign of this course (launching in January 2019) was informed by student feedback, changing analytics practices, learning and cognitive research, but also shrinking attention spans and increasing demands on your time. Do I really need to take this course on Advanced Digital Analytics for Higher Ed? Are you responsible for the measurement of your digital marketing campaigns? Have you been asked to create analytics reports about your higher ed marketing and communication initiatives for your unit, college or university? 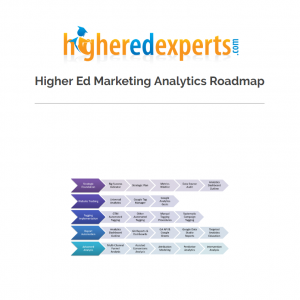 Do you need to make recommendations to optimize the performance of your higher ed digital marketing? This course was designed — and redesigned! — for YOU and will help you measure the real impact of your digital marketing efforts. 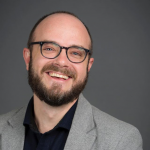 What will I learn about Advanced Digital Analytics for Higher Ed? Should I take this course on Advanced Digital Analytics for Higher Ed Course? Recognized certificate of achievement in advanced digital analytics for higher ed upon completion of the course with a final grade of 80% or more. I would definitely recommend this course. The lessons were very thorough, the instructors were responsive and I enjoyed the interactions with other students. Everyone should be prepped for the time that you have to put in, but it is worth it. This a good course to get past the basics, makes analytics practical and easy to share with non-technical audience. It's nice to know there is a resource available for higher education professionals that cuts through theory and focuses mainly on the application of important concepts. Professionals in our field often wear many hats within their institution, making it harder to utilize or learn the latest tools and resources available. With the support of the instructor, the advanced analytics course allowed me to dig into areas of Google Analytics that I feared exploring. I knew that the instructor was there to answer any questions and solve road blocks along the way. The knowledge gained from our coursework had an immediate impact on the sophistication of my institution's tracking, especially since our weekly assignments all challenged us to apply real solutions to our accounts. 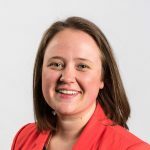 I would definitely recommend this course to prospective students who want to take their working knowledge of Google Analytics to the next level. I have learned an incredible amount by taking this course. Everything learned will be useful for me going forward to understand how our website is being used and provide reports for my colleagues. I would definitely recommend this course. I would tell colleagues who are interested in concepts beyond standard GA reporting that this course is great to jump start that learning. This course is a must for higher ed marketers. Joshua expertly explains key concepts for students to gain a more thorough understanding of Google Analytics and its more insight-producing functionalities. I would highly recommend this course to anyone wanting to improve (and verify) their understanding of advanced web analytics. If you're interested in building a solid foundation before starting to use Google Tag Manager and furthering your knowledge in Google Analytics, this course is perfect. It challenges you to think about your institution and how these tools could help make an impact in different areas. I would highly recommend the Advanced Web Analytics course to my digital marketing colleagues. It is perfect for the person that has a working comprehension of Google Analytics but is missing how to tie it all together in an academic setting. I would recommend this course to others interested in expanding their knowledge of what is possible in Google Analytics. It was important to be able to relate the course material to real life reports. I found this class to be very helpful in thinking about new ways to answer marketing questions for the college and departments. 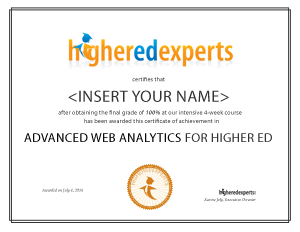 If you're involved in web analytics at your institution this course is a must. It goes beyond the basics to teach you about Universal Analytics, Google Tag Manager and other great custom report features that can make your data collection more effective. The instructor is knowledgeable and very helpful when you have questions. Other students taking the course allow for some great networking opportunities and each assignment builds on the next culminating in the final project. I'll be able to expand on my final project to make our site analytics more useful and our marketing more effective. All the Higher Ed Experts classes I took have helped me in my job. Everything I learned here applies 100% to what I do -- with excellent results. The course provides a very interesting introduction to advanced features of Google Analytics. The topics and techniques covered expand the metrics that tell the story of higher-ed digital marketing.